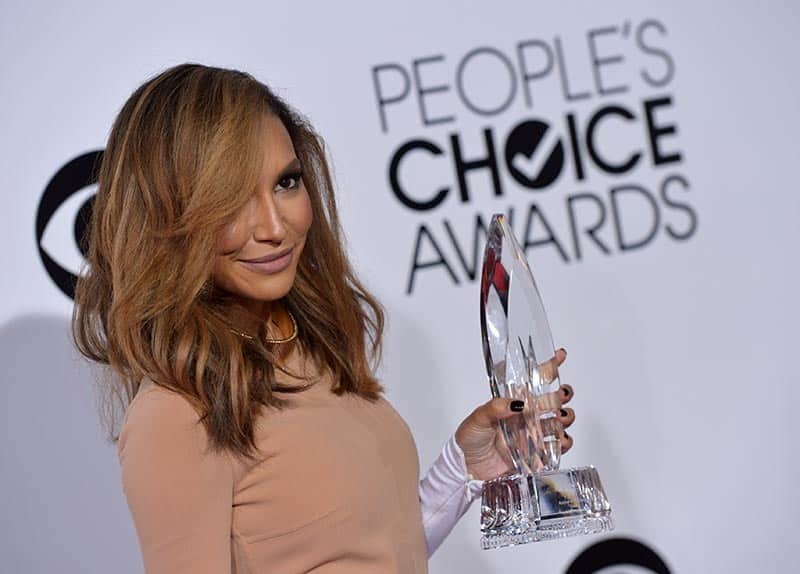 Naya Rivera arrives with the award for Favorite TV Gal Pal at the 40th annual People's Choice Awards at Nokia Theatre, in Los Angeles. Britney Spears accepts the award for favorite pop artist at the 40th annual People's Choice Awards at the Nokia Theatre, in Los Angeles. Kat Dennings and Beth Behrs arrive at the 40th annual People's Choice Awards at Nokia Theatre, in Los Angeles. Kaley Cuoco, Mayim Bialik and Melissa Rauch pose in the press room with the award for favorite network TV comedy at the 40th annual People's Choice Awards at Nokia Theatre, in Los Angeles. Sandra Bullock, winner of the Favorite Movie Actress, Favorite Dramatic Movie Actress and Favorite Comedic Movie Actress poses in the press room at the 40th annual People's Choice Awards at Nokia Theatre, in Los Angeles. Malin Akerman arrives at the 40th annual People's Choice Awards at Nokia Theatre, in Los Angeles. Melissa Rauch arrives at the 40th annual People's Choice Awards at Nokia Theatre, in Los Angeles. Allison Williams arrives at the 40th annual People's Choice Awards at Nokia Theatre L.A., in Los Angeles. Lucy Hale arrives at the 40th annual People's Choice Awards at Nokia Theatre L.A.